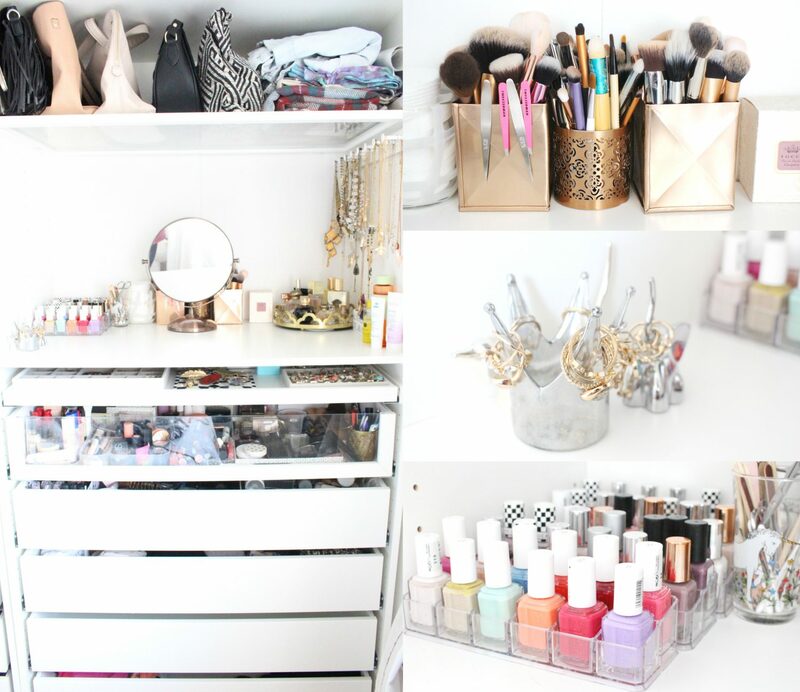 I knew I needed lots of drawers as I wanted to use the wardrobes for both my clothes and for my makeup and accessories. I also knew I wanted to have some sort of ‘counter’ for storing perfume and little trinkets along with somewhere to put my jewellery (clearly I expect a lot from my storage!) As you can see from the pictures, I added a rail for my dresses and longer tops and put a pull out shelf underneath for my jeans and leggings, the pull out shelf has been a godsend as it’s allowed me to really utilise the whole shelf and be able to get to everything with ease. Underneath the shelf I have 3 drawers, I use this space for my tops/light knits, pj’s and sportswear. The drawers are really deep and I have only used about half this space which means I have room to grow! On the other side I have a glass shelf for bags, it means I can see where everything is from underneath and don’t have to rummage too much! I also store bigger chunky scarves there and a few light summer jackets. I then have a ‘beauty space’ on the counter where I have my makeup mirror, my nail polishes (I like to have them out so I remember which ones I have!) and a little glass display tray with gold detailing for my perfumes, as well as some jars for my makeup brushes. I added the ikea pull out multi use hanger for my necklaces, I LOVE this, it makes it easy for me to see what I have and stops them getting tangled. I then have another pull out shelf which is where I keep my jewellery, I use a mixture of muji jewellery holders and stackers display cases along with a few trinket bowls, it’s my favourite space. Under this I have a glass drawer which is where I store all my ‘current’ makeup. I was sure I would struggle to fit everything in here but these drawers are so deep I even had room for nail accessories and palettes! I like having everything in one space because it means I am more adventurous with my makeup and try out more from my collection. Underneath that drawer I have another one which is where I put newer products, beauty supplies and haircare. Then for the last 2 drawers I have my underwear (tmi) and an empty drawer which I will be using for Winter to Spring bits. I have tried to maximise storage throughout the room, I use my windowsill as a ‘bookshelf’, it’s very deep so this works well for me, I also added a large set of drawers as a bedside table, it means I can keep all my notepads, unused candles and bits and pieces tidied away. I used the back of my door as a coat area, I added double hooks along the wall which is hidden when the door is open. I also had enough room to add in an oversized leaner mirror too which faces the window and really bounces back light into the space and gives it a bright, airy feel. I hope this post has been helpful, I worked in collaboration with Channel 4 and their exciting series with Phil Spencer who helps homeowners create multi-purpose gardens, upcycle flatpack furniture and create stylish work-from-home spaces. 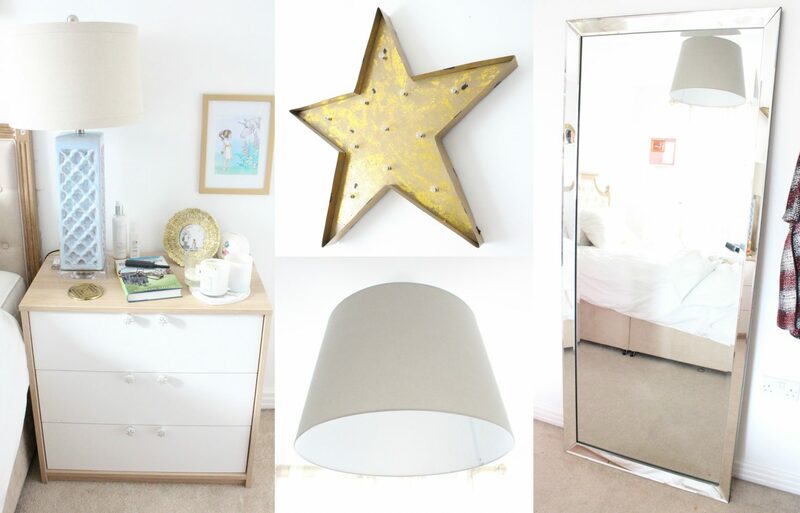 You can check out how he transforms a teeny office/beauty space below (or here), it’s a particularly good episode if you are a blogger needing to utilise your spare room for blogging whilst still using it as a guest bedroom! Some Small Bedroom Storage Ideas and Tips. MEASURE your space. Nothing is more frustrating than putting in your new furniture or storage and seeing it’s just a few cm’s too big! Remember to take into account the skirting boards and measure from them not the walls themselves. GO BIG with accessories. Adding in oversized lamps and mirrors can really trick the eye into thinking the space is bigger and give the room a lighter, airy feel. PLAN OUT your storage. 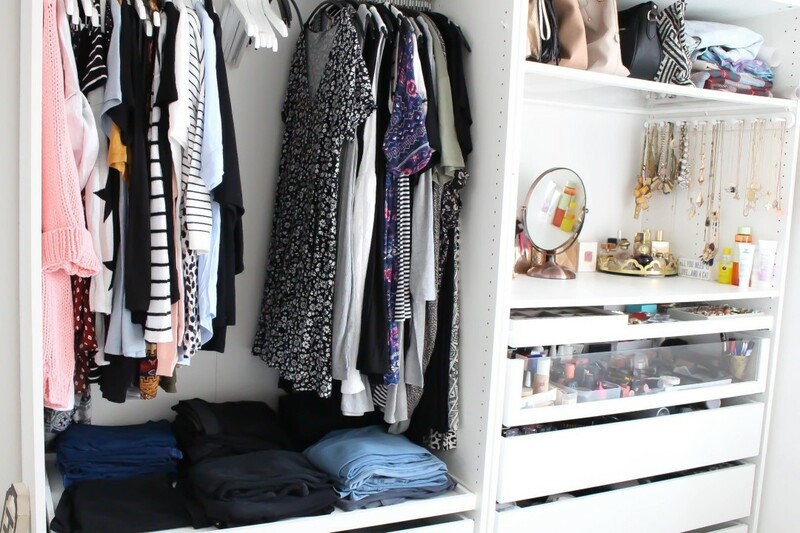 If you know you don’t have lots of things that need hanging up a whole wardrobe with one rail is pointless, the same goes for not having lots of folded clothes. Sit down and plan out what you have, how you’d like it stored and the build your storage around that. TOO MUCH storage space is better then not enough, I tried to make sure I had an extra drawer or 2 so I could grow with the space, if everything fits perfectly you probably don’t have enough storage! BE CREATIVE with every space available to you, I have storage as my bedside table, the back of my door is a coat area and I have boxes above the wardrobe (I’m even thinking about getting an ottoman bed) when your space is small you need to make it work extra hard so use your imagination! SMALLER IS BETTER in terms of added bulk in the room. For example I switched out my wooden hangers for rubber curved ones, it has doubled my hanging space capacity and the rubber finish stops clothes slipping off the hangers, definitely one of the easiest changes I made but one of the best in terms of freeing up space! 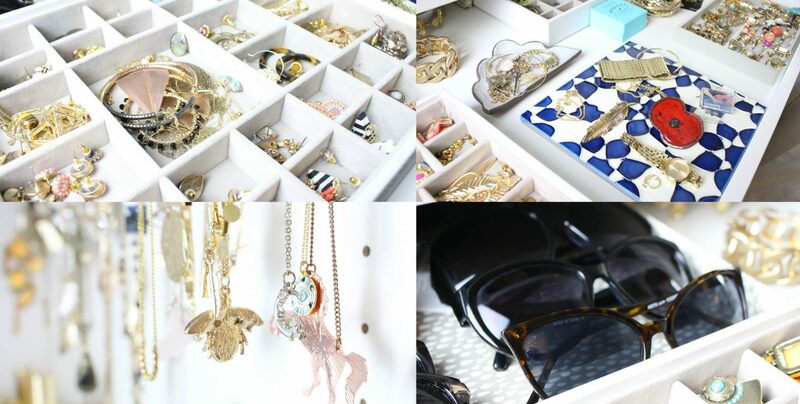 Wow you will never lose anything now, that is really well organized. Love your glass fronted drawer and the holders for the nail varnish, what a good idea, mine are on shelf but they are constantly falling over. I will definitely have to watch the new programme, love Phil Spencer. Love your organization! Would you like to come over and help me out next, please? Pinning this for future reference..and planning to tackle one thing at a time.